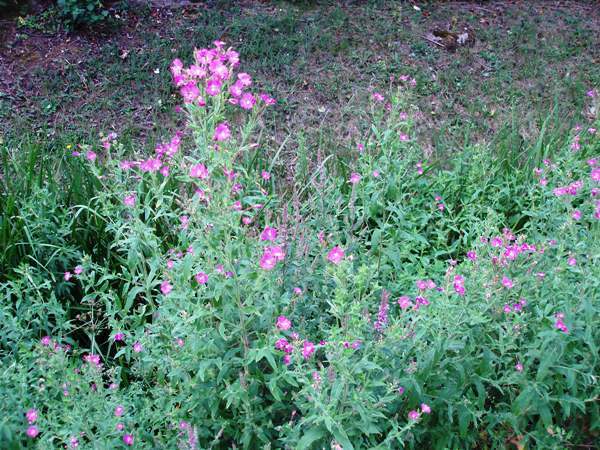 Great Willowherb is sometimes referred to as the Great Hairy Willowherb. Although very tall, this Epilobium species tends to be less conspicuous than its close relative Rosebay Willowherb. This robust hairy-stemmed perennial grows to a height of 2m. The stemless elongated oval leaves have toothed margins and they are arranged in opposing pairs along the stems. 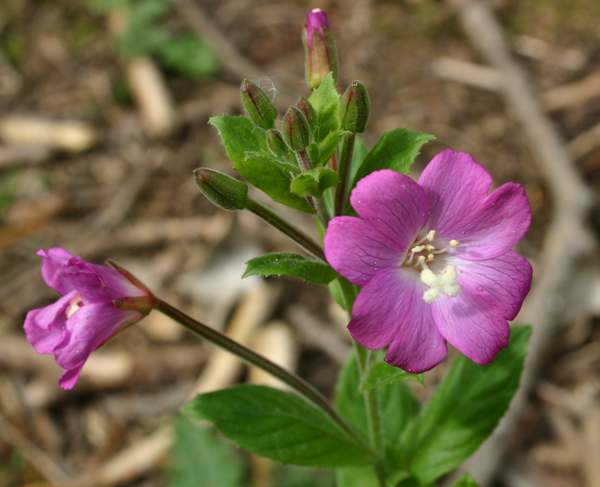 Flowers of Great Willowherb are pinkish purple with paler centres and typically 2 to 3cm across. There are fine dark branching veins on their four petals, each petal having a single shallow notch. Behind the petals are four narrow greenish sepals typically 5mm long. The white stigma has four lobes. In late summer the long narrow seed pods curl open and release hairy white parachutes to which the tiny seeds are attached. In Britain this wildflower is most abundant in England, becoming less frequent in northern Scotland. 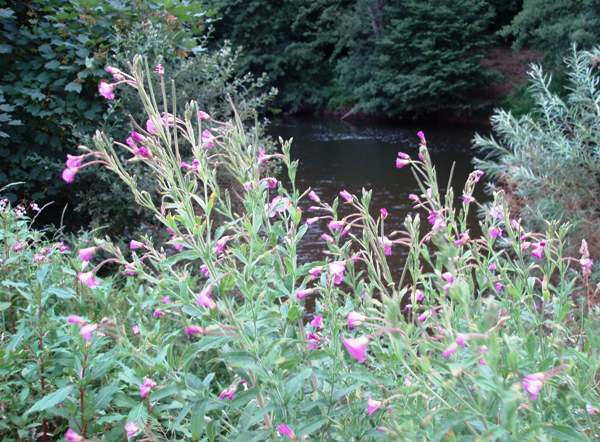 Although still a common sight, Great Willowherb is less abundant in Wales than is its close relative the Rosebay Willowherb. 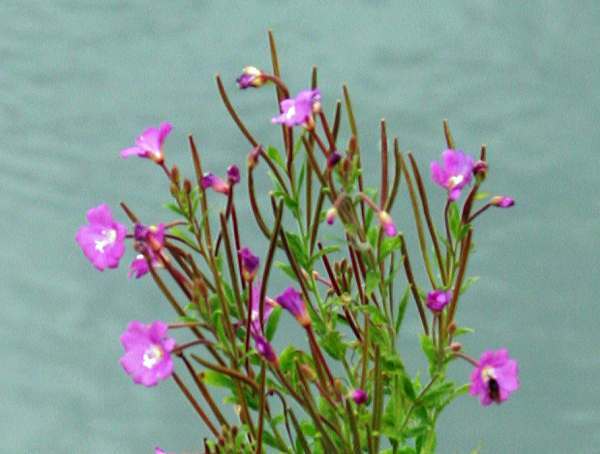 On mainland Europe Great Willowherb is found as far north as Sweden and south into North Africa. To the east its range extends into parts of Asia. Elsewhere, including North America, this is an introduced species. 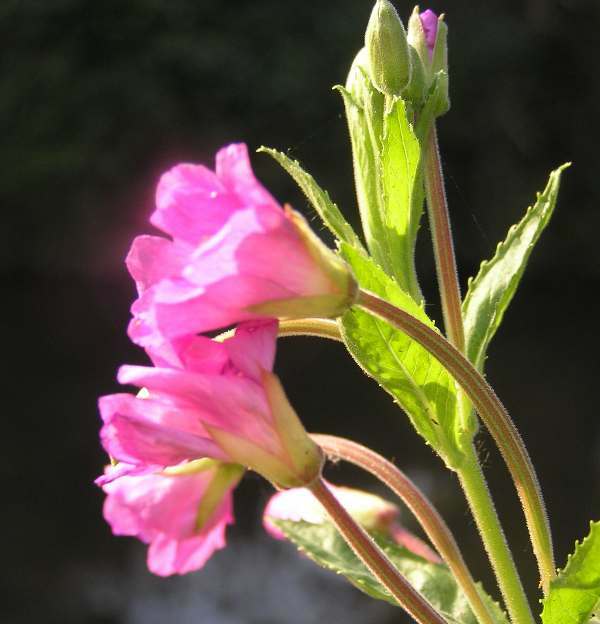 Often seen in large colonies along riverbanks and canal towpaths, this plant tends to favour chalky soil although it copes with neutral or slightly acidic substrates.. The plants shown on this page were photographed in South Wales.